June 9, 2017 April 15, 2019 - The 'Noms. 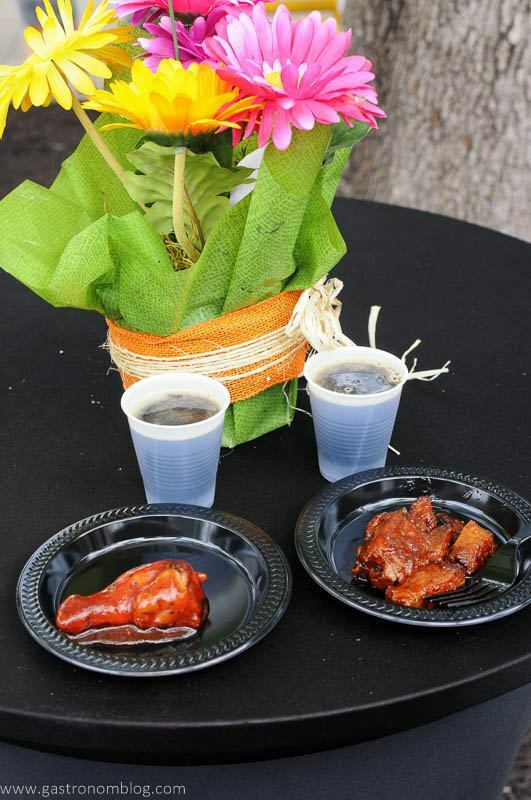 Chargrilled BBQ chicken wings and KC Style BBQ Burnt Ends along with beer from Kansas City's Cinder Block Brewery! We spent a day of fun at Worlds of Fun in Kansas City at the KC Flavor Fest! This past weekend we made the short drive from Omaha down to Kansas City to check out the KC Flavor Festival at Worlds of Fun! 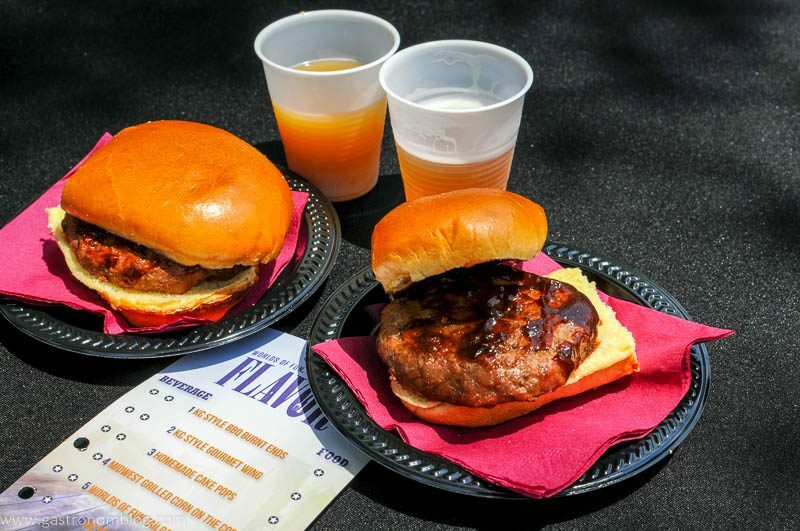 The KC Flavor Festival is a new event that Worlds of Fun is holding that celebrates the rich heritage Kansas City has when it comes to food, local brews, wines and spirits! We are always down to travel to check out new food and drink so taking a road trip to World’s of Fun in Kansas City was something we were really looking forward too! 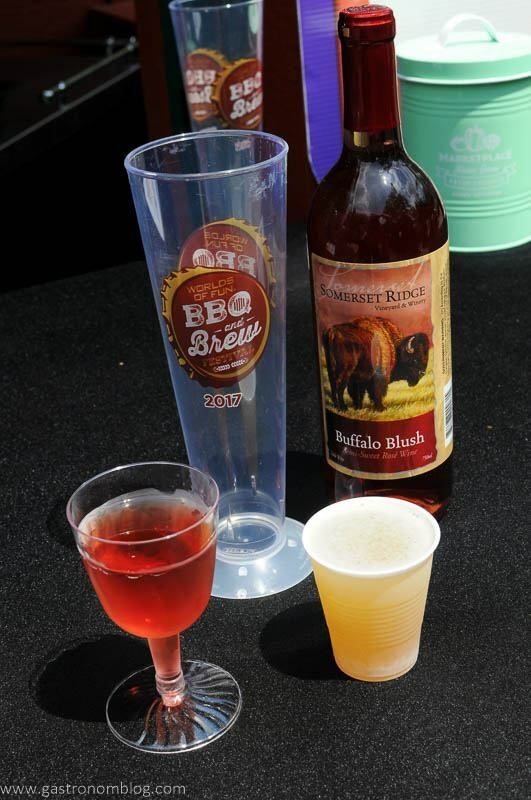 Worlds of Fun Tailgate Beef Sliders with KC Style BBQ Sauce and beer and spirits from Louis bourg Cider Mill and Fire Shine Whiskey. This post contains sponsored content brought to you by Blog Meets Brand and Cedar Point, Worlds of Fun. We were provided a compensation to attend the event, but all opinions and views presented here are 100% our own. There are also affiliate thinks, and we make commission off of these. For further information, or if you are interested in working with us please see our Disclaimer page. World’s of Fun wants to be more than just an amusement park, it wants to celebrate the traditions and heritage of Kansas City! To do this, World’s of Fun has been holding a number of special events like the BBQ & Brew and their newest event KC Flavor. KC Flavor is all about celebrating the cuisine, the drink, the music and the art of Kansas City in a limited time event running on the first two weekends in June! Chargrilled BBQ chicken wings and KC Style BBQ Burnt Ends along with beer from Kansas City’s Cinder Block Brewery! The KC Flavor Festival is located in the Americana section of the park near SteelHawk (the super tall ride you can see from all over the park!) where you will find a bunch of exhibition booths setup. Once you get to the event, check in at the main booth and get your lanyard. The lanyard is your pass to all things awesome, as this is your ticket to all of the great food and drink! Your lanyard gets you six different foods and a total of 12 drinks! This is a smoking deal for $25 (Gold and Platinum passholders get $5 off!) as you get plenty of tasty food and a whole bunch of drinks sure to satisfy the hungriest of park goers! 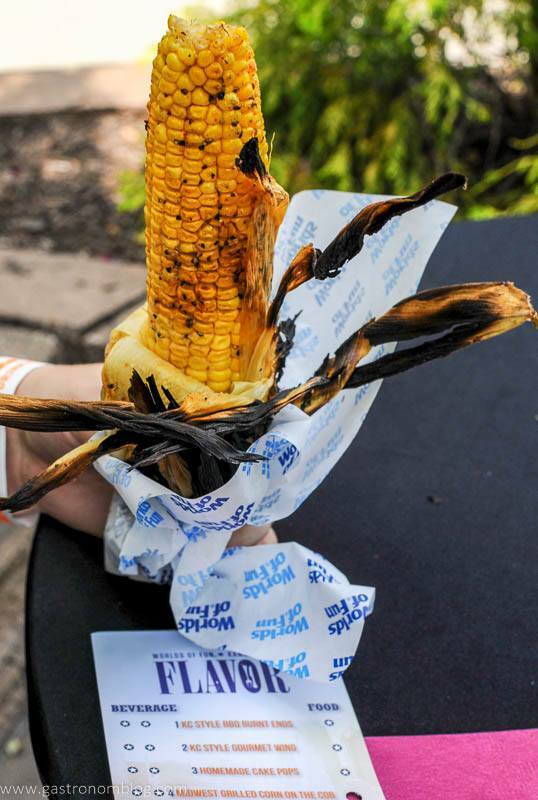 Midwest seasoned Grilled Smoked Corn on the Cob at the KC Flavor Fest at Worlds of Fun. What about the food and drink? 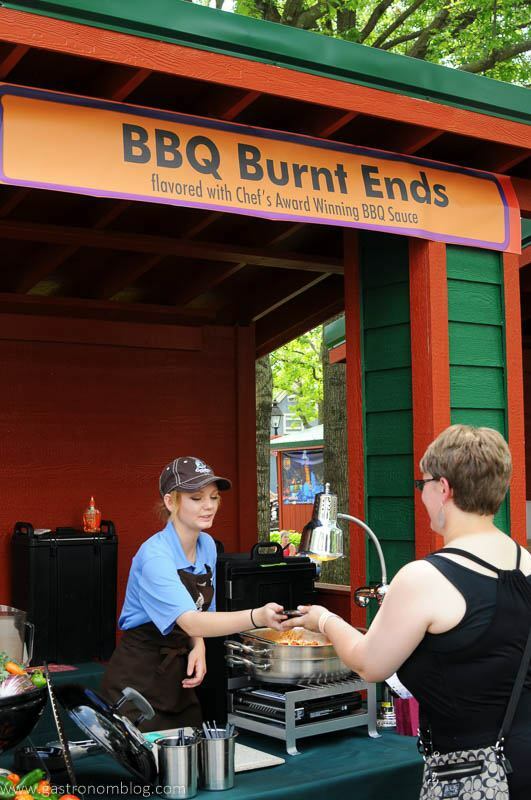 KC Flavor has six food stations, with each serving a special take on a KC specialty, from BBQ Burnt Ends and Char-grilled wings to smoked corn on the cob and fresh fruit pies. Paired up with each station is a beverage pairing featuring wine, beer or spirits from some local breweries, wineries and distilleries. For folks that aren’t 21, there is freshly made Front Yard lemonade to sake your thirst! A real fun part of this festival is being surrounded by the rides all around the exhibition space,, with SteelHawk (a big tall tower swing) and a classic Ferris wheel plus the ever entertaining RipCord where you get to watch folks who are fair more daring than us do a free fall from nearly 200 feet up! All the while, live music performances from local musicians keeps the atmosphere hopping! Not only did we get to eat, but we got to explore both Worlds of Fun and Oceans of Fun! 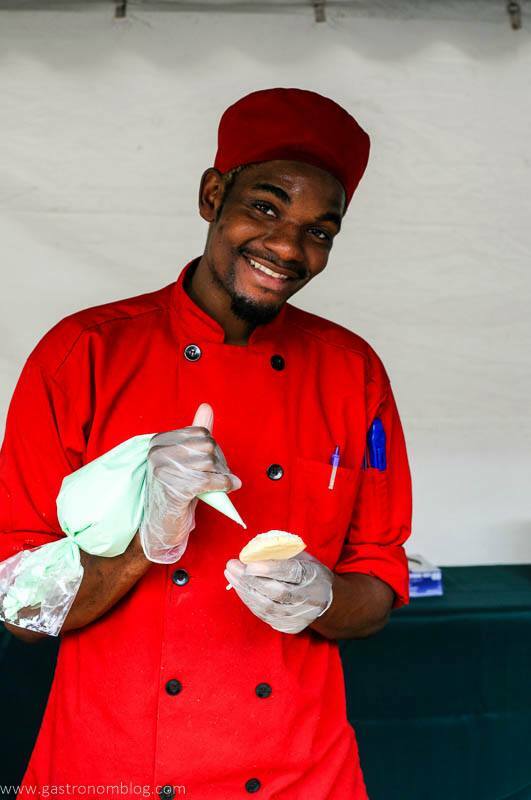 We highly suggest that you head out to Worlds of Fun and joint them for the inaugural KC Flavor Festival! Get there fast as this festival runs on the weekends on June 2-4 and June 9-11 from 1-9PM! 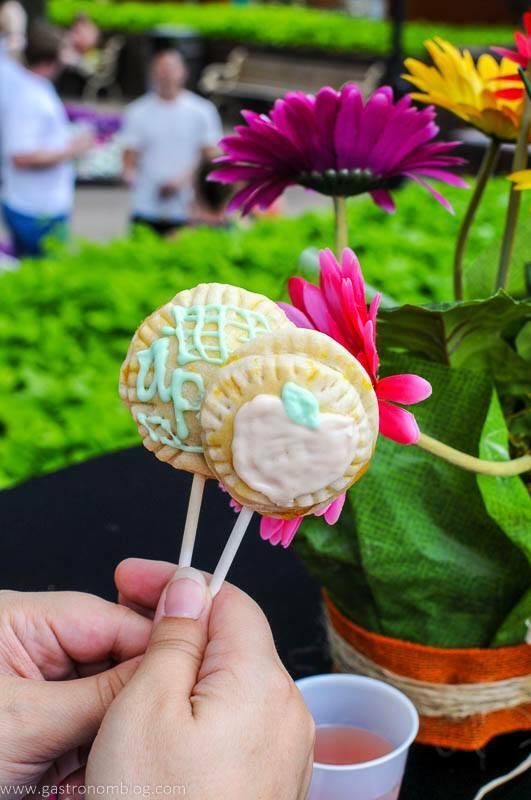 Decorating Pie Pops at the KC Flavor Fest! 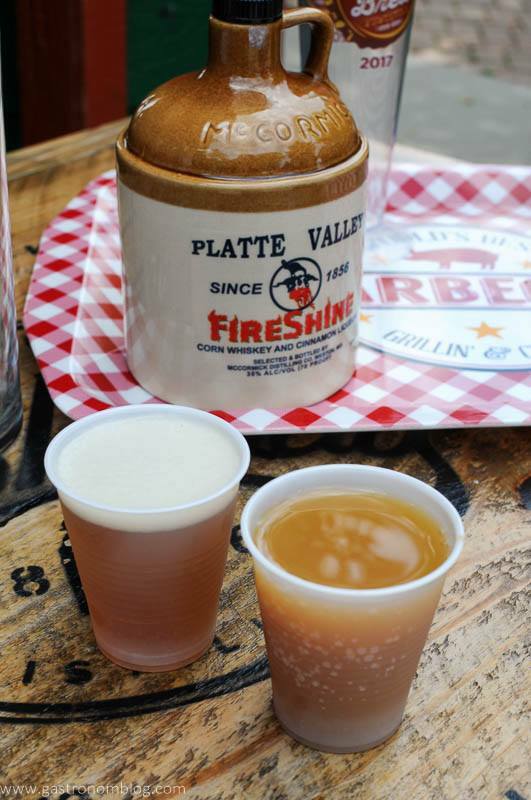 Just some of the great drink samples to be found at the KC Flavor Festival at Worlds of Fun! If you are going to Kansas CIty, we recommend renting a VRBO Rental Location to stay at! What a fun food festival! 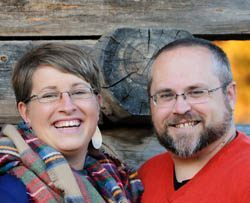 My brother-in-law and his family live in in Kansas City and I am sad to say that I haven’t really had a chance to explore the food scene as much there as I would like. I’ll have to make another trip there sometime soon! The food looks and sounds yummy! You should, especially with family there! We will have another post coming soon about other places we visited on the trip, so keep an eye out! This looks so fun and delicious! Kansas City is such a fun city. We had a lot of fun! KC is a blast, thanks for reading! I love burnt ends and this sounds so good. Thanks for sharing! Thanks for reading! We had fun! Wow all of the food looks so flavorful! Great festival! We had fun, and definitely didn’t go hungry! burgers and beers yes please. A festival around food ? yes please!